We have discussed about types of hearing loss in previous posts. Degrees of hearing loss and types of hearing loss are different. While types of hearing loss tell you what kind of hearing loss one person is suffering from, degrees of hearing loss help you determine the amount of impact on one's daily life due to hearing loss. So let's take a quick look at various degrees and treatment for hearing loss. If you are suffering from mild hearing loss, you have a hard time understanding soft conversations especially in noisy environments; however, conversations in a quiet environment are not that much of a problem for you. There are many types of hearing aids available in the market, so you can resort to a suitable one as treatment for hearing loss. You can also take a hearing loss test to determine that. According to some experts it ranges between 21-45 db, while for some it is between 26-40 db. This kind of hearing loss is indicated if people have a hard time understanding or hearing conversations in background noise. People suffering with this hearing loss, mostly have their television volume turned up. This hearing loss ranges between 45-65 db. Severe hearing loss is considered between 66 db to 90 db. Patients suffering from this hearing loss find it difficult to hear normal conversational speech. Clarity of speech heard by the patient is hugely affected. Using hearing aids is recommended for these patients. Hearing loss above 90 degrees is considered Profound Hearing Loss. 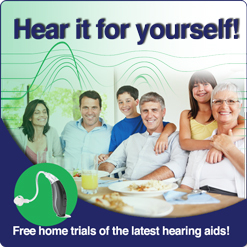 There is no audibility in this hearing loss. Good listening conditions with a hearing device help few people to hear better, while for some it doesn't. Treatment for hearing loss is highly recommended to these people. They must contact an audiologist for hearing loss treatment.